Friends of the Kaw is working with the City of De Soto, Westar Green Team, and the Kansas Department of Health and Environment, Bureau of Waste Management to clean up an area on the Kaw just below the De Soto access ramp and we need some volunteer assistance. The cleanup will start at 9:00am and end once the job is done or at 4pm, so you can come for the morning, the afternoon or both. The Green Team will be using a line truck to lift objects over to the ramp where a skid loader will transport heavy items up the ramp to a dumpster. Because we are using heavy equipment, the activity on the ramp is not appropriate for kids under 18 years old. Younger folks are welcome to come and will be able to help do some maintenance on the demonstration rain garden near the access ramp or pick up litter in Riverfest Park. 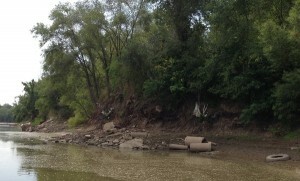 Many of Friends of the Kaw’s group float trips start at the De Soto ramp so cleaning up this area will give float participants a better first impression of the river. We are grateful for the efforts of the City of De Soto, Kansas Department of Health and Environment, and Westar Green Team and also a grant from REI to accomplish this effort. Please wear long pants, gloves and sturdy shoes that can get wet. We will do a hot dog roast for lunch at 12:30pm for volunteers. It would help us get a count for the hot dog roast if folks would RSVP with the Kansas Riverkeeper – also contact us for more information! Since 2008, over 400,000 requests have been sent by a wide variety of groups – including farmers, state and local officials, and members of Congress – asking the Environmental Protection Agency and the Army Corps of Engineers to make the Clean Water Act easier to understand. In response, the EPA and the Army Corps collaborated with all invested parties to create a new rule that clarifies existing law and ensures clean water protections for the streams and wetlands that many consider to be some of our nation’s great natural resources. The proposed rule would clarify existing laws, increase government efficiency and make our water cleaner by better defining which rivers, streams, lakes and wetlands the Clean Water Act protects from industrial pollution, oil spills, and outright destruction. Special consideration for agricultural concerns is addressed, and the new rule will strengthen our nation’s farming community by avoiding economic burden and bringing certainty and predictability to agriculture. 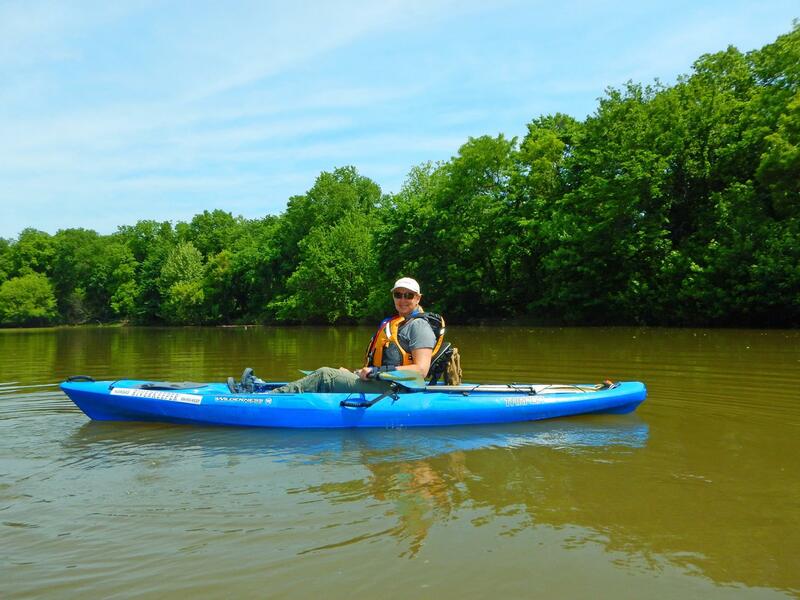 In recent years, there has been a lot of confusion and controversy over whether smaller streams and certain wetlands are protected by the Clean Water Act. As a result, some waters have been opened up for industrial dumping and others have become harder to protect. Without a clear definition of what is protected, 59% of our streams and at least 20% of our wetlands are threatened. It’s important to protect even the smaller streams, creeks and wetlands because they help reduce flooding, supply drinking water, and provide critical support and habitat for fish and wildlife in downstream waters. And, as any kid who grew up near a creek can attest, small streams provide access to adventures, exploration and wildlife. They truly are some of our most treasured—and accessible—places. As part of the official rulemaking process, we can insist that EPA and the Corps ensure automatic protection for all streams and wetlands scientifically proven to have significant connections to downstream waters. This helps the Mississippi River by protecting the water feeding into it. We expect strong opposition to this rule from institutions that use our rivers, streams and wetlands as dumping grounds. Regretfully, these polluters have the ear of many members of Congress and are working hard to defeat the rule. Don’t let them block this noble effort! Show your support for this clean water rule by sending a comment to the EPA and we will copy your Representative in Congress so they hear your voice as well. Together we can ensure the Clean Water Act’s definition of “Waters of the U.S.” is finalized and our waters protected.